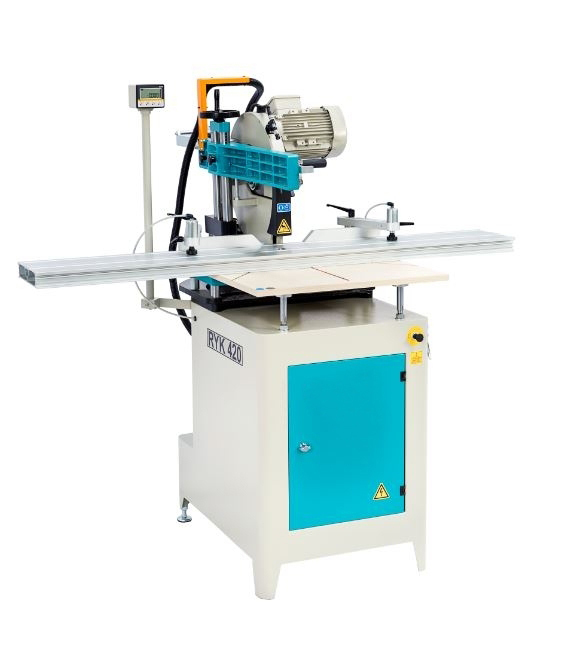 Our RYK 420 Radial Saw is designed for straight ormiter cut operations of large size vinyl (PVC), aluminum and timber. 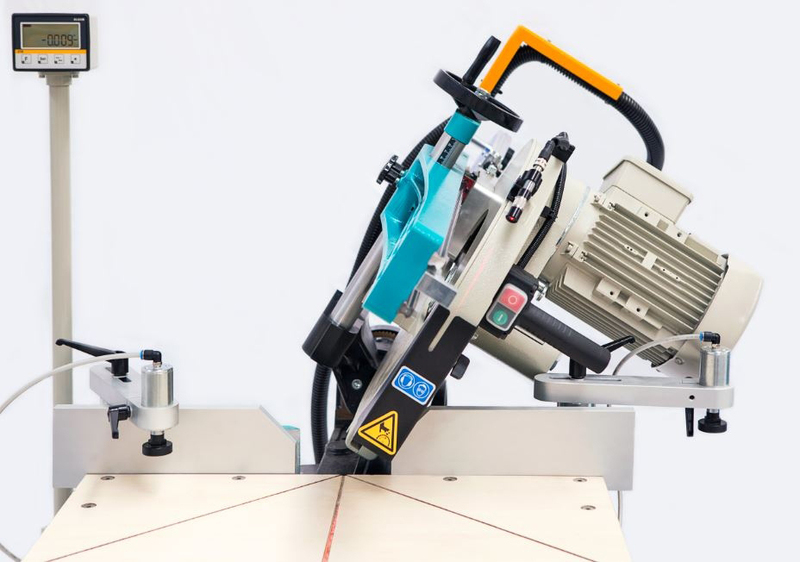 The RYK 420 enables straight and miter cuts by means of the pivoting table and tilting head. 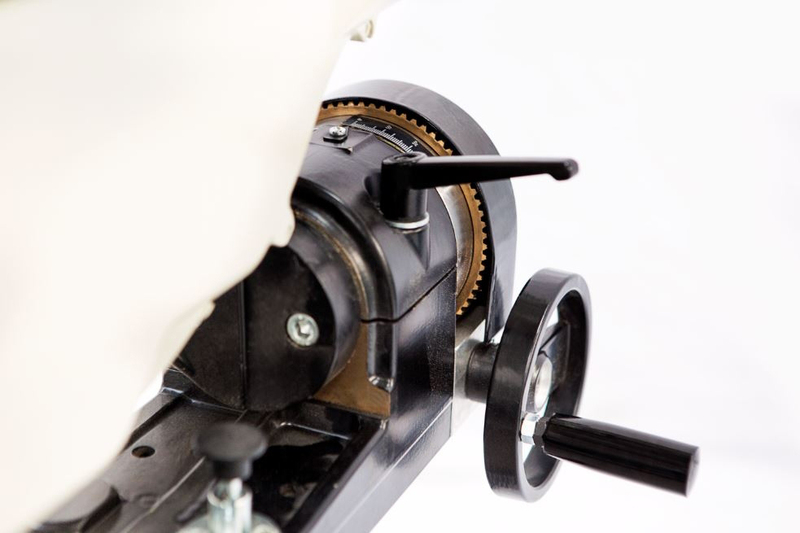 RYK 420 is a heavy duty 16-1/2″ (420 mm) radial saw. 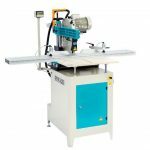 Its radial saw is designed for straight or miter cut operations of large size vinyl (PVC), aluminum, and timber materials. 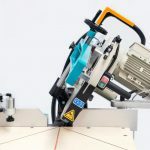 The RYK 420’s pivoting table and tilting head enables straight and miter cuts, while performing different cutting operations is also possible. It has 2 x pneumatic vertical clamps. 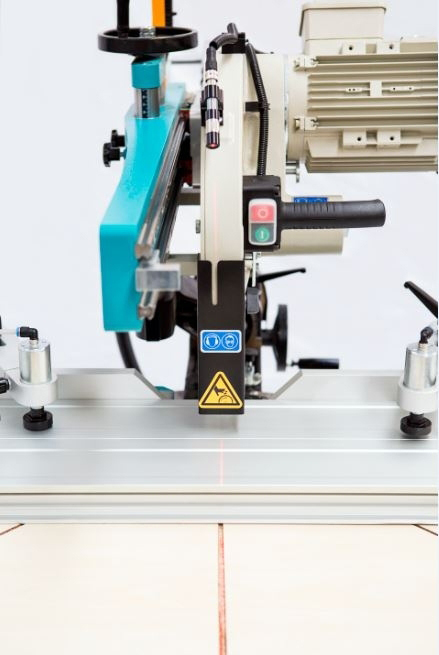 RYK 420 has powerful yet smooth cutting operations with its 2.2 kW, 3000 rpm motor. It has high precision and great sensitivity provided by gas spring, linear bearings and ergonomic handle. The cast iron construction of the body is strong and long-lasting. Its robust mechanical construction enables the ease of adjustment for the requested cutting angles and location points at 15°-22,5°-30°-45°-60°-90°. Moreover, its pivoting range from 45° to 60° infinitely adjustable and it has tilting range from 90° to 45° left. 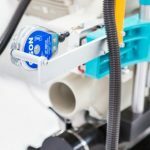 Optional equipment includes saw blades for aluminum or timber, a spray mist lubrication system, a dynamic motor brake unit (1.5 kW -7.5 kW), a laser marker indicating the cutting line, a digital display for ease adjustment of pivoting angle, and a DKN 300 conveyor (3m (10’), 4.5m (15’) or 6m (20’)) systems. 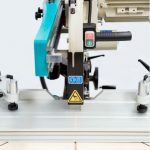 The machine has been designed in accordance with CE, UL and CSA Safety Directives. 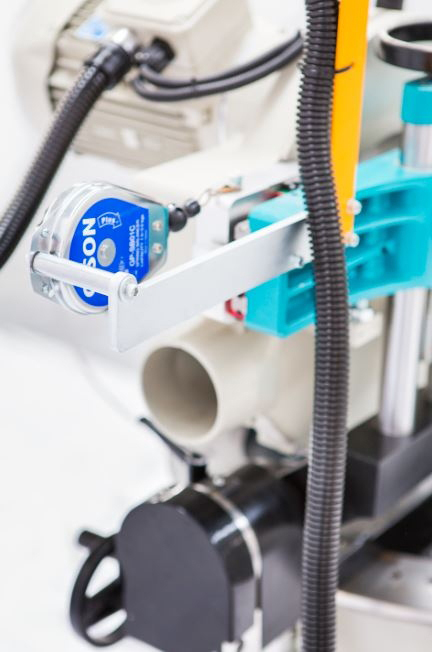 You can have further information about the RYK 420 at ATechMachinery.com, watch demonstration videos, or read its detailed technical catalog and part lists.